See GRAPHIC video footage of the Boston Marathon explosion above and below. The booming explosion from one of the explosions can be heard in the dramatic video above. Video of the second explosion. 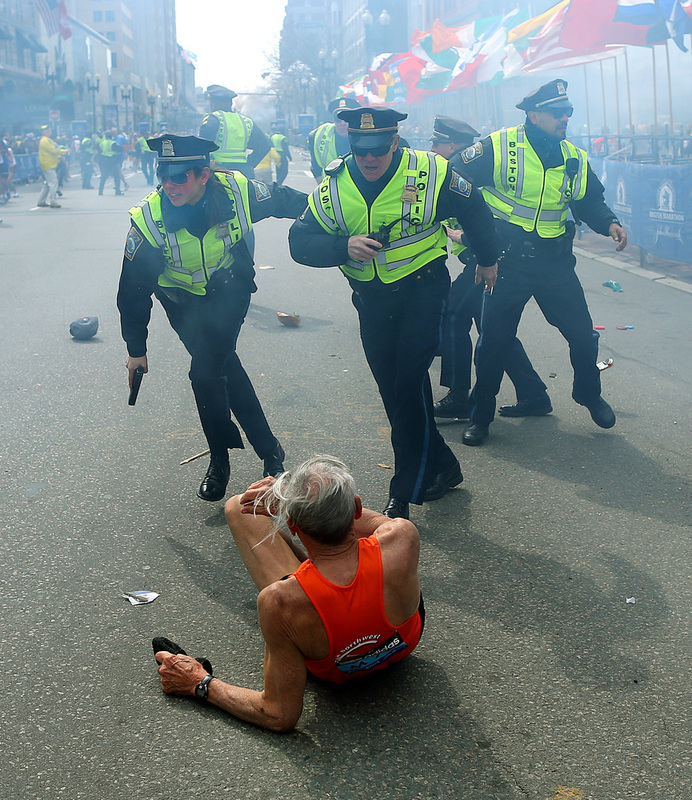 Footage from the Boston Marathon finish line. BOSTON — Two bombs exploded near the finish of the Boston Marathon on Monday, killing two people, injuring 23 others and sending authorities rushing to aid wounded spectators, race organizers and police said. HuffPost Readers: If you or anyone you know is in Boston today, we want to hear from you about what's happening there. Send your stories, eyewitness accounts, photos, videos, and anything else you want to share here. Include a phone number if you'd like to be interviewed. Let us know if you want to remain anonymous.